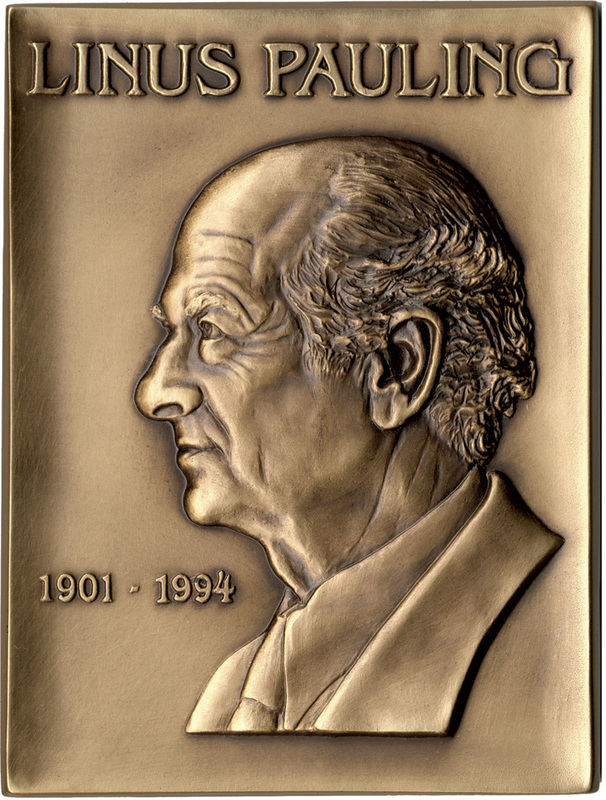 First granted in 2001, the Linus Pauling Legacy Award is presented biennially to an individual who has achieved in an area once of interest to Dr. Linus Pauling (1901-1994). The award is sponsored by the Oregon State University Libraries and Press. Recipients are honored at an award ceremony with a framed certificate, an engraved medallion and an honorarium of $2,000. A public talk by the awardee concludes the ceremony; past presentations have been delivered in Corvallis and in Portland. Nominations for the Pauling Legacy Award are solicited and reviewed by a select advisory committee. 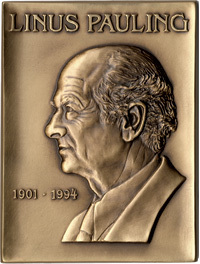 Of the past award-winners to date, four have been Nobel laureates. Dr. Roald Hoffmann receiving the 2012 Pauling Legacy Award from OSU Libraries and Press Director Faye Chadwell and Linus Pauling, Jr. 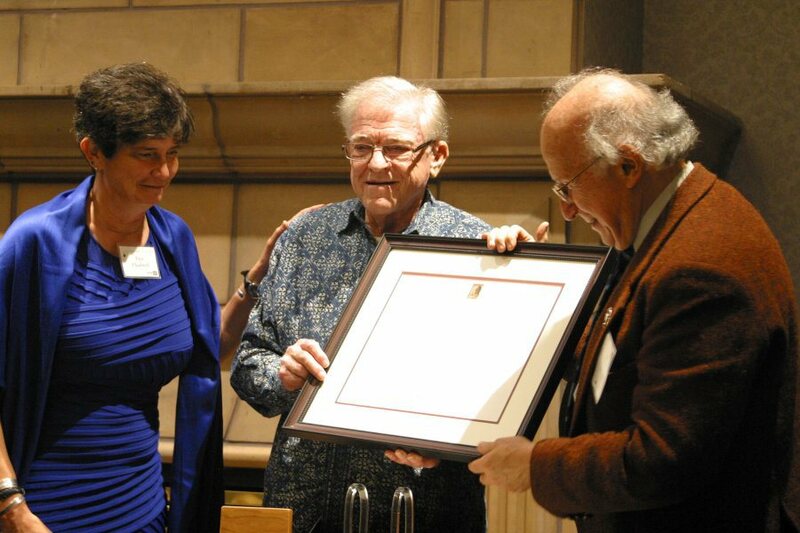 The Pauling Legacy Award is just one of many ways in which Linus Pauling's life and work are celebrated at Oregon State University. The Ava Helen and Linus Pauling Papers form the cornerstone of the extensive history of science and technology holdings in the Special Collections & Archives Research Center, a division of OSU Libraries & Press. The Linus Pauling Institute, also located on the OSU campus, likewise continues to conduct groundbreaking research on diet and optimum health. Two Pauling-related endowed chairs - one in chemical engineering and another honoring Ava Helen Pauling - have been created at OSU, and the annual Ava Helen and Linus Pauling Memorial Lecture for World Peace has been sponsored by the OSU College of Liberal Arts since 1982.